Brand new LGI Homes’ house for sale in San Antonio, Texas with 3 beds and 2 baths. Home highlights: Single-story, Eat-in dining area, Large living room, Utility room off of garage entry. Floorplan features: The Hemlock floorplan, at just under 1200 square feet, offers a great starter home layout on one level. Two bedrooms are located at the front of the house and the master bedroom with ensuite and large walk-in closet is in the rear for more privacy. The living room and kitchen adjoin for ease in socializing with family, friends, and entertaining. The two-car garage located at the front of the house has in-home entry leading past a good size utility room for your family’s laundry needs. The Hemlock also features free designer upgrades worth approx $10,000, such as custom cabinets, new quality kitchen appliances a new refrigerator, quality fixtures, vaulted ceilings, fully-fenced backyards and landscaping in the front yard. Every home also includes a new homeowner warranty. If you’ve been shopping for a new home for a while, you’ve probably visited a number of homebuilder websites and noticed that certain buzzwords show up time and time again. Words like “designer,” “value,” and “craftsmanship” gets thrown around pretty liberally, and it can be hard to distinguish the reality from the marketing verbiage. So how does a homebuyer know what they’re getting when they buy from a builder? Will they be getting a heavy dose of meaningless catchphrases that fail to prop up a substandard home? Or will they move into a quality house built by a company that honestly cares about their reputation, their product, and their customers? 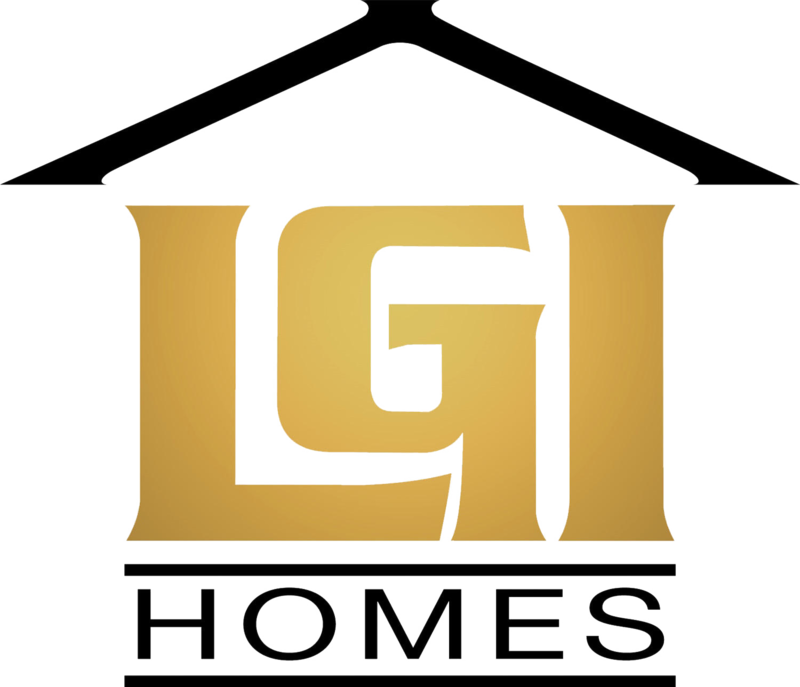 Here at LGI Homes, we have carefully selected a few words of our own to define the kind of homebuilder we work hard to be: quality, value and affordability. Over the next few posts, we will focus on each of these principles, to share with you why—in the case of LGI Homes—these aren’t just words, but promises that form the reality behind every home we build. When it comes to quality, the definition may be pretty easy: quality is a characteristic of excellence that sets something apart from others like it. In the case of LGI Homes, quality is the way that our home construction techniques set our houses apart from those offered by the competition. Every home contains pretty much the same elements (kitchen, bathrooms, bedrooms), and just about every home can house your family. But every homebuilder runs a business—part of which involves making enough money on the sale of each home to employ the countless people who make the planning, building and selling of new home developments possible. How each builder chooses to make that money can differ greatly—and it is one place where LGI Homes’ quality outshines other builders, 100 percent. LGI Homes’ first commitment to quality is in our building model. Instead of artificially deflating our prices through substandard materials, less-skilled labor or a lack of home and community amenities, we have structured our business to make money through a streamlined in-house construction process that minimizes our initial costs, and passes those savings on to our customers. In our method, we purchase, plan and prepare our own land, cutting out some middlemen traditional to the industry and saving us substantially on the cost of developing each community. It’s one of the main reasons why LGI Homes can offer such high-quality homes at prices that other competitors simply can’t match. Our second commitment to quality comes in the form of our enduring relationships with our trade partners—the skilled men and women who choose the best materials and use the latest techniques to ensure that every LGI Homes house is strong, stable, solid and secure. Their tenacity and insistence upon “doing it right” has won LGI Homes awards for quality construction—including a notable first-place award for the construction of quality new homes in the Houston, Texas market. We impose rigorous standards on what can and cannot be used to construct our homes, and our communities have come to represent only the finest in quality and durability. That’s why we extend a 10-year structural warranty on every house we build, giving you peace of mind and proud confidence in the security and quality of the place that you call home. So there it is: quality, defined. But don’t just take our word for it. Our satisfied owners are testament to the fact that for LGI Homes, quality isn’t just a buzzword, but a pillar of our ongoing business success, and a main reason why thousands of homeowners have chosen LGI Homes as their builder of choice. Stop by one of our communities and see for yourself how LGI Homes is building their legacy of quality, one house at a time. Floorplan features: The Trinity floorplan is a single-family home offering just over 1,400 square feet. Maximizing privacy and flow, there are two bedrooms at the front of the home enjoying a distinct space away from the master bedroom suite, which is located in the rear of the house. This stunning owner’s refuge features a large walk-in closet, ensuite master bath with garden tub, and a separate shower. The kitchen includes a new refrigerator and quality appliances, custom cabinets with quality brushed nickel fixtures and more. The two-car garage offers easy home entrance with a walk-through utility room leading right into the kitchen—putting away the groceries after a day of shopping is suddenly so much easier! The Trinity floorplan by LGI Homes is perfect for new home buyers, with prices starting at just $773 per month. About Luckey Ranch: Luckey Ranch in San Antonio, Texas hits the mark again as a premium new home community by LGI Homes. Amenities at the community include a 30-acre, two-million dollar Recreation Center (to be constructed), a fishing lake, boat storage, kayak boat launch, soccer field, baseball field, full sports basketball court, children’s playground, picnicking area with gazebo and smoker and BBQ, and walking trails. Affordable homes are just one benefit of Luckey Ranch; the community is conveniently located just minutes from San Antonio for shopping, entertainment, dining, and employment opportunities. The Toyota plant, Lackland AFB Air Force Base and Sea World are also close by. Retirees, couples, and families alike will enjoy the larger living spaces, open areas, and very affordable brand new homes found in this amazing new homes community. With the change in season from winter to spring, we enter one of the prime times of year for homebuying activity. Kids are almost out of school, and the broad expanse of summer offers time for home shopping, moving, and settling in to a new home before the rigors of academia begin once again in the fall. So it’s no surprise that most families begin shopping for their homes in March, taking advantage of great weather and copious daylight to find their dream house. Real estate is highly local. Many local economies—particularly in cities throughout Texas—have remained much more resilient than the nation as a whole, and strong job growth and steady wages are underpinning heavy activity in their real estate markets. Many of these places are also outperforming the national scene in terms of real estate, meaning that grim statistics applied to “housing” as a whole often don’t apply to local markets. Even major metropolitan areas in hard-hit states like California and Florida are seeing rebounds in hiring, which is increasing demand for homes and increasing prices. Low inventories can drive up prices. With so many homeowners unwilling—or unable—to put their homes on the market, those owners who are selling have been able to command higher prices for their homes. Why? The simple law of “supply and demand.” When demand for something exceeds the supply, prices for that in-demand item rise, because the item becomes a premium. In the case of houses, local economies that have strong economic underpinnings support wages and allow workers to buy homes. Those workers want to buy homes, and when presented with low inventory, will often offer higher prices in order to secure a house of their own. Homes owned by people—and not banks—have an edge. While the prices on foreclosed homes in places like Phoenix may seem attractive to some buyers, those prices are often factors of the poor condition of the homes themselves. Deferred maintenance, structural problems, and even cosmetic issues like stained rugs, cracked walls and broken appliances heavily discount list prices on foreclosures, since many banks sell their foreclosure inventories “as is.” In this environment, well-cared-for homes inhabited by people (and not just spiderwebs!) are hot, as most buyers want a “turn-key” property into which they can move without any work. As you can see, there are a number of factors that define a “good time” to sell a home, and as both local economies—and the nation as a whole—turn the corner on the recent recession, housing is ready to stage a rebound. Lucky homeowners who can sell into the curve will not only get better prices from inventory-starved buyers, but will also be able to take advantage of record-low interest rates and sky-high affordability to move into new homes. Why wait to own your dream, when you can make your move today? Selling your current home may be the first step toward owning a brand-new house in one of LGI Homes’ stunning communities throughout Texas and Arizona! Brand new LGI Homes’ house for sale in North Dallas, Texas with 3-5 beds and a 2-car garage.. This new home from LGI features 3-5 bedrooms and a 2-car garage all for just $601 per month. Community features: Access, convenience and character combine in Oak Hollow, offering some of the most affordable new homes in the heart of North Dallas’ Collin County. Upon passing through the beautiful stone entryway, residents and guests alike will be impressed by the community’s family- and lifestyle-friendly amenities, such as the expansive greenbelts, a local playground, and the neighborhood park. Yet the small-town charm of Oak Hollow is also a commuter’s dream, as this little enclave is located just off of I-75, and within easy reach of the myriad offerings of the DFW Metroplex. Want to have it all, in the heart of it all? Then Oak Hollow may just be the community for you! Home features: Each home in Oak Hollow includes over $10,000 in designer upgrades, included at absolutely no additional cost to the buyer. These include imperatives like quality appliances and an included refrigerator, but also fine details like custom cabinets, rounded corners and high ceilings. Each home lot has a fully-fenced backyard and front-yard landscaping, as well as quality deed restrictions that protect the character of the neighborhood. Best of all, homes in Oak Hollow start at just $601 per month! 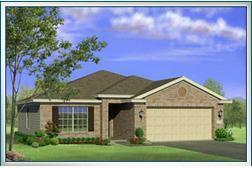 Brand new LGI Homes’ house for sale in North Houston, Texas with 4 beds and 2 baths. Floorplan features: Exceptional privacy and ultimate social spaces define the Sabine, a 4-bedroom, 2 bath home that caters to both peaceful nights with the family, and entertaining fun with friends and neighbors. Owners will enjoy ultimate privacy in their expansive master suite along one side of the home—separate shower and soaker tub, and a large walk-in closet included. The large living room area and open-concept kitchen invite socializing, while guests and residents alike will enjoy lounging on the covered rear patio. The fourth bathroom is easily turned into a study—a perfect home office or library. About Chateau Woods: Located in the highly-desireable Woodlands area, Chateau Woods offers exceptional Montgomery County living, at extremely affordable prices. Easy access to local amenities and hotspots, as well as a quick jump onto I-45 mean that this centrally-located community puts you at the heart of the places you love to be. Every LGI Homes house in Chateau Woods comes with thousands of dollars of designer upgrades—such as rounded corners, custom cabinets, granite countertops and high-quality appliances—at absolutely no cost to the buyer, and each oversized lot has front-yard landscaping and fully-fenced backyards. All of our homes also come with a generous 10-year structural warranty to ensure your comfort and peace of mind. Homes in Chateau Woods begin at just $699 per month.